Rapidly rising home prices and mortgage rates are raising concerns among many observers of a new bubble in the housing market, while others believe the market is making up for losses sustained during the recession. The National Association of Realtors this week reported that sales of existing homes in June slipped 1.2 percent from the pace in May. The median home price in June, however, jumped 13.5 percent from the same month last year, the seventh straight month of double-digit increases. NAR officials are concerned that first time homebuyers — who would normally account for about 40 percent of home sales — are being squeezed out of the market by rising mortgage rates and prices. 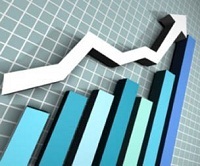 In its most recent forecast, the Mortgage Bankers Association increased its estimate of total loan originations for 2013 to $1.572 trillion, up 12.6 percent from its February forecast. However, the MBA has consistently predicted that originations in 2014 will decline to just under $1.1 trillion. NAR President Gary Thomas said that many Realtors are reporting an influx of previously underwater sellers who are taking advantage of the rising prices to get out of their financial difficulties.